Over 200 delegates gathered at the fourth NSI Installer Summit last week at the Vox at the NEC, Birmingham. Over 50 product and business support providers filled the exhibition hall, offering delegates the opportunity to get up close to the latest technology, expand their technical knowledge and take advantage of exclusive Summit deals and offers. Special emphasis was placed on education this year with ten speakers covering a range of pertinent security and fire sector-related topics over the course of the day. 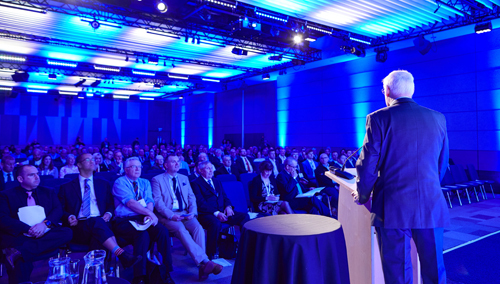 Subjects in the plenary session in the morning included the Hatton Garden heist and lessons learned for the security sector; the Government’s perspective on cyber security – the risks and uncertainties; an insight into Jaguar Land Rover’s corporate security strategy and the newly launched Trailblazer Apprenticeship Standard for the security and fire sectors. 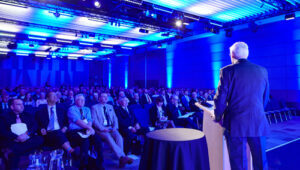 In the afternoon, delegates were invited to choose from a variety of half hour educational sessions: home automation and system integration – the opportunities and risks; tips for protecting businesses against cyber-attack; Apprenticeships and the benefits for businesses and guidance on forging closer links with police forces. NSI Gold approved companies were also given an overview to the changes to the new ISO 9001:2015 Standard from NSI’s auditors, plus a presentation on the benefits of NSI approval for automated gates and barriers from NSI’s Technical Officer, with specific emphasis on helping clients reduce their risk and understanding the business opportunities. 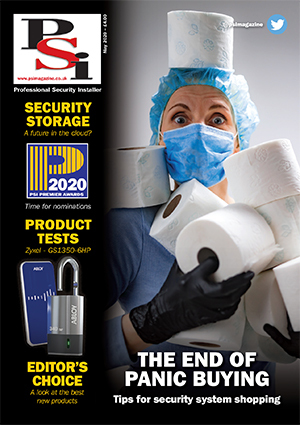 The seven main sponsors, instrumental in delivering this year’s Summit were Avigilon, BT Redcare, CSL Dualcom, Fermax, RISCO Group UK, IFSEC International and Texecom.